We use electronic products every day, and increasingly more every day. Yet in some cases the question of their reliability outlives old prejudices, almost as if we were talking about an old valve radio, which occasionally needed some well-aimed blow in order to start working again. In the field of security safes, for example, there is always someone willing to swear that “mechanical ones are more reliable”. 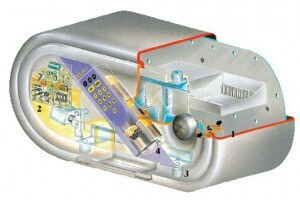 In fact, nowadays, it is possible to manufacture electronic safes which are as reliable as the mechanical ones, but easier to use and more secure. It is true, however, that not everyone is able to do so. Electronics is considered to be a new technology, but that is no longer really the case. Born in the early 1900s, it is now more than a hundred years old. We entrust electronics with our safety when we travel by car, not to mention by plane. 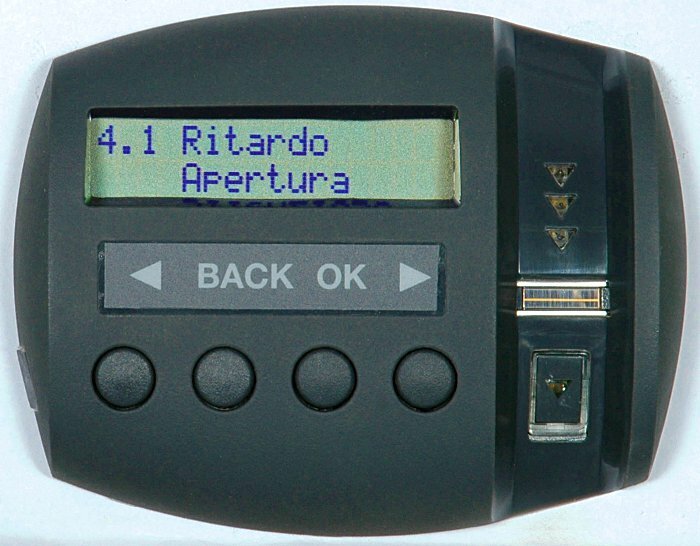 All advanced medical diagnostic systems use electronic instruments. Many of us have a sophisticated smart phone in our pocket which still work flawlessly even after being dropped several times, and if something breaks it is usually a mechanical part, such as the case or the screen. In short, we should not require enormous proof of the reliability achieved by electronics. Still, since it is a more complex and less understandable technology than mechanics, certain doubts always remain. Even with regard to security safes. In reality, the electronic system of security safes, when it is designed and manufactured correctly, reaches excellent standards of reliability and an electronic fault is such a rare event that it is insignificant compared to the advantages offered by this technology. Possibility of eliminating the key and the problem of its management, opening by various users with different combinations or with biometric readers, possibility to record operations performed, timed openings… these are just some of the functions which an electronic safe can provide and a mechanical safe cannot. 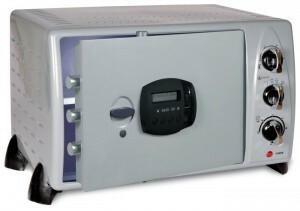 An electronic safe offers more features in terms of security and ease of use compared to a mechanical safe. It must not consume too much electricity, so as not to require unduly frequent battery changes, and the consumption should be smooth, without sudden jumps, to prevent the batteries from suddenly becoming flat and not leaving adequate time to replace them. It must withstand any electrical discharges which a thief might apply to the safe in an attempt to put it out of use. It must be protected against the accidental inversion of the battery polarity, so it won’t be damaged if one makes a mistake when connecting it. It must withstand humidity, which can often be high in wall installations, even for several years. However, low cost electronic safes often use generic commercial electronic boards which have been adapted, and they are unable to fully satisfy all these requirements. It is in fact possible to make an electronic safe which is seemingly fully functional by loading a specific software on a generic electronic board, such as those for household appliances or toys, which, as they produced in enormous quantities on a global scale, are also very economical. However, these electronic boards do not possess the necessary characteristics to make a security safe reliable. For example, they are not designed to withstand humidity and temperature variations that a safe must endure when is installed in a perimeter wall. The result is therefore an unreliable electronic safe, which cannot guarantee its operation over time. 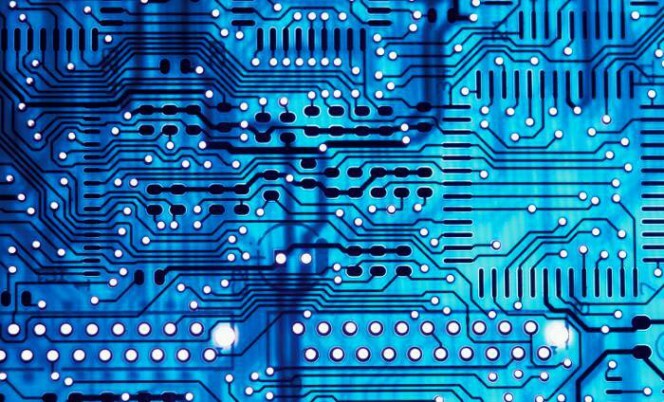 In order to be reliable a safe must use specifically designed and manufactured electronics: it must not re-use generic electronic boards, such as those for household appliances and toys. In other cases, safes are proposed for domestic use which have been derived from models planned for use in hotels, which are designed and manufactured with other priorities in mind, rather than just security. Hotel safes must withstand everyday use by different people and since they are purchased in batches of tens or hundreds of units they must have a low cost. They actually serve to discourage a chance removal of items rather than to prevent a theft or robbery. For this reason, they are far less secure than those designed and manufactured for domestic use, not to mention those intended for a professional user. Hotel safes are cheaper but less secure than those for domestic or professional use. 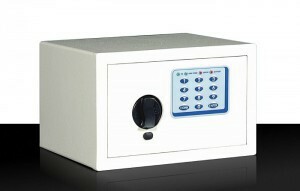 One can therefore buy an electronic safe with confidence provided a manufacturer specialising in this field is selected. 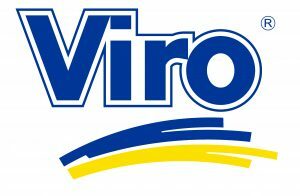 Viro, for example, has been manufacturing electronic safes for 30 years, since it launched Ram7 in 1985; the first electronic safe made in Europe. This entry was posted in Safety cabinets and tagged home, safes, technology on 14 April 2014 by Mara Rossi.